Here are some great ceiling painting ideas. We refer to the ceiling as the fifth wall of your room. It’s true though, ceilings may seem like an afterthought, but you would be surprised how a fresh paint color on your ceiling enhances and defines your space. White Ceilings– Simply classic, white ceilings pair well with any wall paint color. If you are unsure of what to do with your ceilings and need to make a decision quickly, you cannot go wrong here. White ceilings give the eye a sense of openness and makes your room feel more spacious. Monochromatic Ceilings– If you are looking for something a bit different, try a paint color a few shades lighter than your wall paint color. Choosing this option will give your space a cohesive feeling while adding a bit of definition and style. 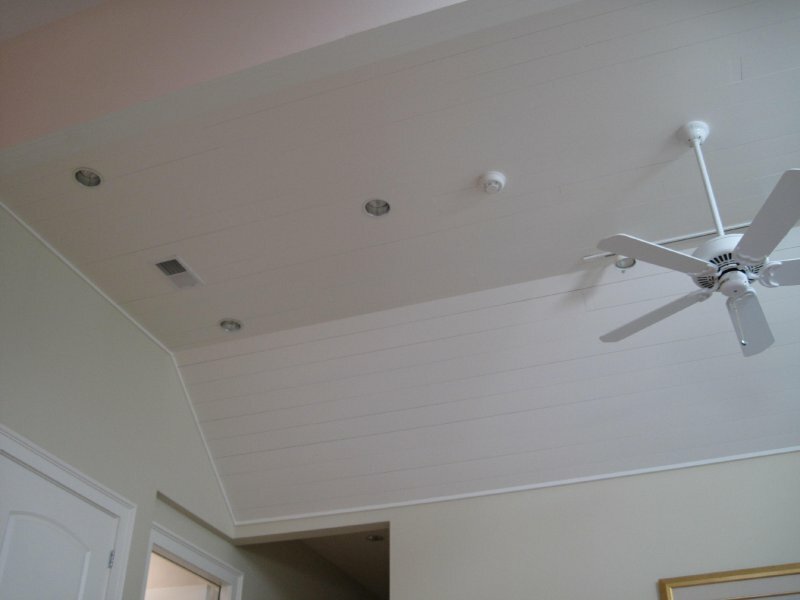 Matching Ceilings- Another paint color option for your fifth wall is to continue your wall paint color onto the ceiling. Allow your wall paint color to envelop you and become the absolute backdrop for your room. Surprising Ceilings- If you want to use your ceilings as way to impress and surprise, try pairing white or neutral walls with a bold ceiling color such as turquoise or plum. This choice makes a strong, stylistic impact on your room that transforms your space and defines your home decorating style. Finish Options- In addition to the color on your ceilings, consider the finish you will be using. Flat white is certainly the standard for professional painters, but that should not stop you from experimenting with different finishes or even metallic glazes. This will give your ceilings a rich, luxurious look that will bring you joy every time you enter the room. Painting your ceilings can change your space, but the process can be a bit daunting as you move and cover all your furniture and spend time painting above your head. Allow us to save you the trouble and transform the fifth walls in your Atlanta, GA area home for you. Our family business can refresh your ceilings with minimal interruption and leave you smiling all season long, so schedule an estimate today.